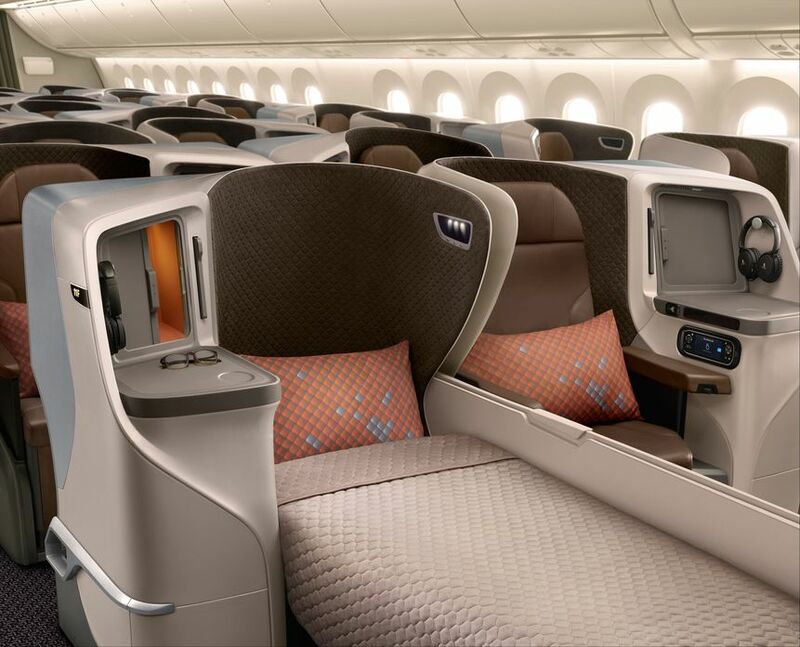 Singapore Airlines will bring a new batch of Airbus A350s to Brisbane from next year, introducing its latest regional business class seat to the Queensland capital. But with four daily flights between Brisbane and Singapore – three already served by A350s with the airline’s longer-range business class seats, and one by a Boeing 777-200ER with A380-like seating – the airline is yet to determine which of these flights will be taken over by the new regional jets. 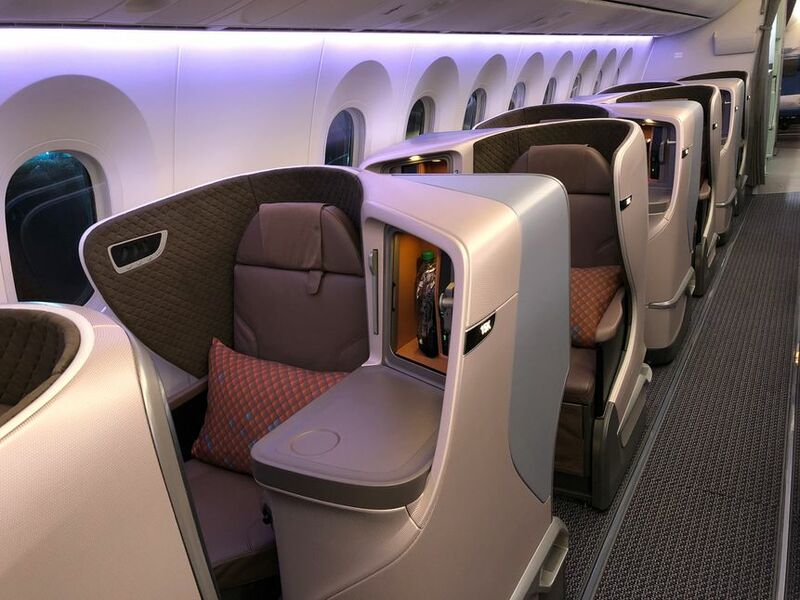 As these ‘medium-range’ planes also come without premium economy, there’ll potentially be fewer Singapore Airlines flights offering this service for Brisbane travellers, which could also impact onward flight connections across Asia or onward to Europe. Until a final decision is made, Singapore Airlines is currently blocking new premium economy ticket sales on selected Brisbane flights throughout 2019. For now, passengers already holding premium economy reservations are unaffected, but should ensure their contact details are kept up-to-date on those bookings so that any alerts and updates are received, should there be any changes. Philip Goh, Singapore Airlines’ Regional Vice President South West Pacific, confirms that the “aircraft change will happen once we receive the second of our A350 aircraft fitted with the medium-haul product … next year,” with the first of those A350s heading to Adelaide from December 18 2018. For Brisbane-based flyers, here’s what the new regional Airbus A350 means for your travels. … second only to the airline’s new Airbus A380 business class experience as currently appears in Sydney’s skies. However, Brisbane’s fourth daily flight, served by the Boeing 777-200ER, features the same business class seats as on SQ’s older-generation Airbus A380s, still wide and still fully-flat, albeit with an older design. 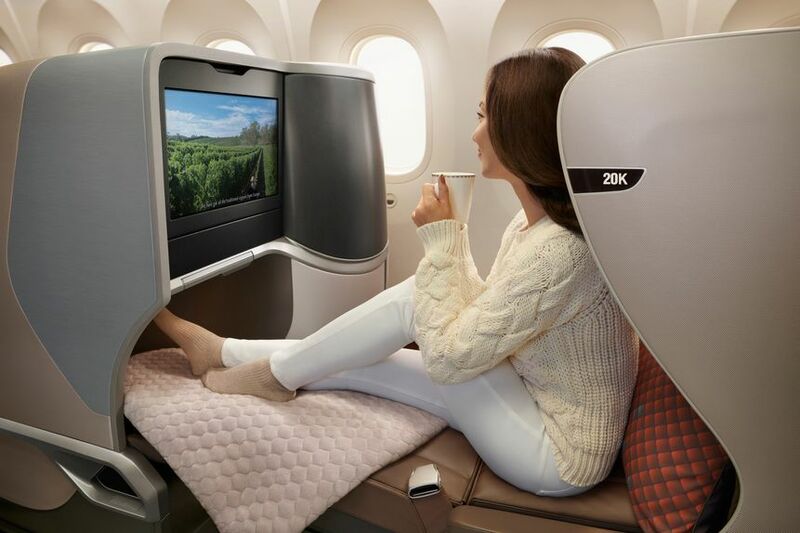 However, it’s fair to say that whichever aircraft you end up flying, all three are a significant step above the airline’s angled-flat Airbus A330 business class seats, which appeared on every Singapore Airlines flight to Brisbane until just two years ago. Singapore Airlines introduced premium economy service onto three of its four daily Brisbane flights through late 2017 and early 2018, being those flights operated by the carrier’s regular, three-class Airbus A350s. 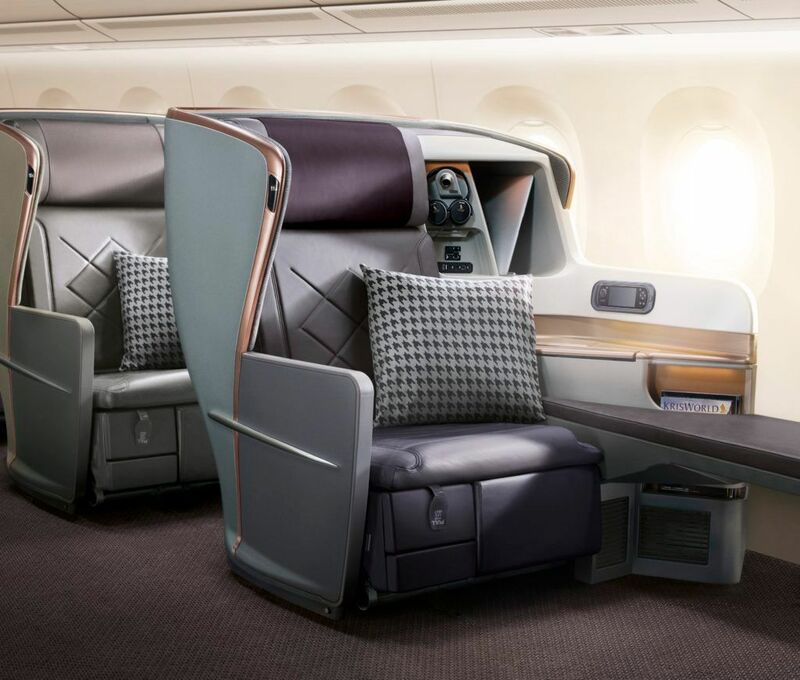 Should one or more of those departures be chosen for Singapore Airlines’ new ‘regional’, two-class A350s – which come with only business class and economy, without premium economy – passengers may need to change their flights, or seek out specific flight numbers, to ensure they can still travel in premium economy. 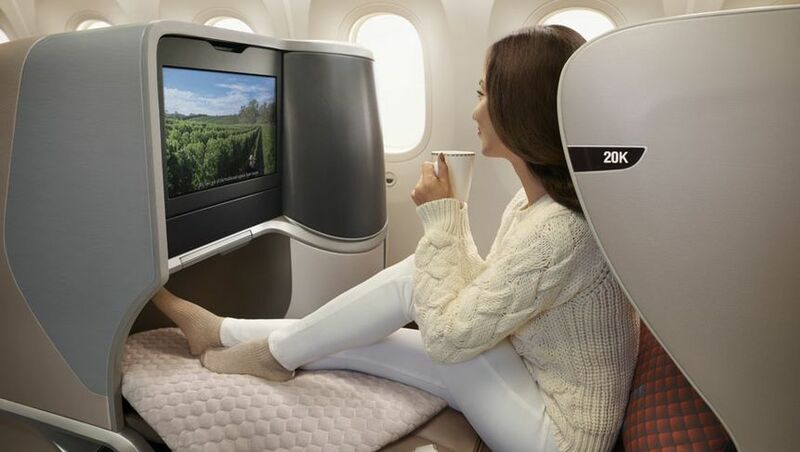 However, until the airline cements its plans for Brisbane and its regional A350s, it’s not yet known which flights will sport premium economy, and which won’t. Should Singapore Airlines replace its Boeing 777 flight to Brisbane with the regional A350, there’d be no impact for premium economy travellers as this service is already a two-class operation, with only business class and economy seating, just as found aboard the regional Airbus A350s. My guess: The A350 regional flights for BNE will be SQ265/266 rotation (currently operated by the 772) and the SQ235 (2130 ex-SIN)/SQ256 (0910 ex BNE) rotation. Yes but only slightly. The seats are all forward facing so think along the lines of Etihad 787/380 or Emirates 380. Since the sating is staggered does that mean the foot wells are wider than the current A350's? Also having a look at Premium Economy availability in 2019 it is still showing SQ236 and SQ246 available to book but not the other 2. Maybe a sign the other 2 will be the ones replaced? Not necessarily both will go. According to the article it has been blocked cuz they haven't decided which one will be the regional one. But agree 265/266 pair the most likely and probably make most sense as neither direction is red eye so you don't really premium economy. I guess the final decision would depend on the load factor of PE on that remaining flight. it was be good if they swapped out the 777 and moved the BNE 777 to replace the current sin-mel-wel 777 which has the crappy A330 style regional seats, but i wouldn't hold my breath. Just flew on A350 regional last night. Business seats are dreadful. They are obviously sized for small people. I am 1.92 metres tall and the width was impossibly tight. As I fly into and out of Brisbane that will restrict my choices. If I can I will never fly that regional Business again. I actually think that they are inferior to the angled lie flat on the A330s. Comment on "Singapore Airlines plans regional Airbus A350s for Brisbane"